Under Bathsilk® brand, we have two grades of silk, Bathsilk® soft and Bathsilk® shine to offer. Bathsilk® soft (click the left photo to enlarge), made of Tussah silk with proprietary treatment. It is free from dust, dirt, debris, cleaned and sanitized. Bathsilk® soft protein is one of the most luxurious elements to impart silkiness and a luxurious feel to cosmetics, body care and soap products. Bathsilk® soft is especially made for soap making. It is creamy white, ultra-soft with an excellent feel and touch quality. Bathsilk® soft is a cost effective alternative when compared with the high expense of liquid, powder and Hydrolyzed silk. Bathsilk® soft is easily absorbed by the skin and adds silkiness to and conditions your skin. Widely used in the finest of soap, shampoo, luxurious hair treatments and facial product (click the right photo to enlarge). Buy Bathsilk® soft online, 4 oz bag trial sample available. For wholesale, 10 lbs minimum/per bag, to anywhere in USA. Free shipping within the USA only. Buy more and save more. 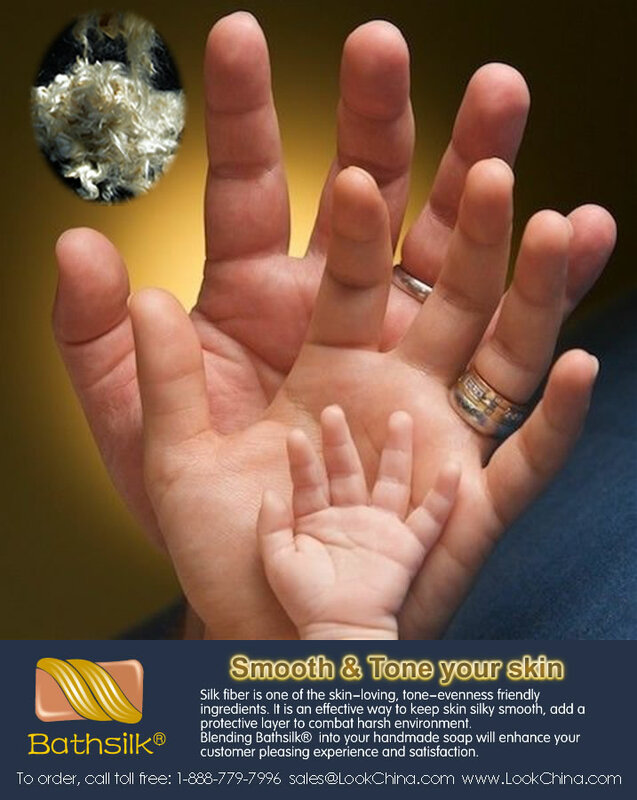 Bathsilk® shine, is an upgrade of silk fiber compared with Bathsilk® soft. 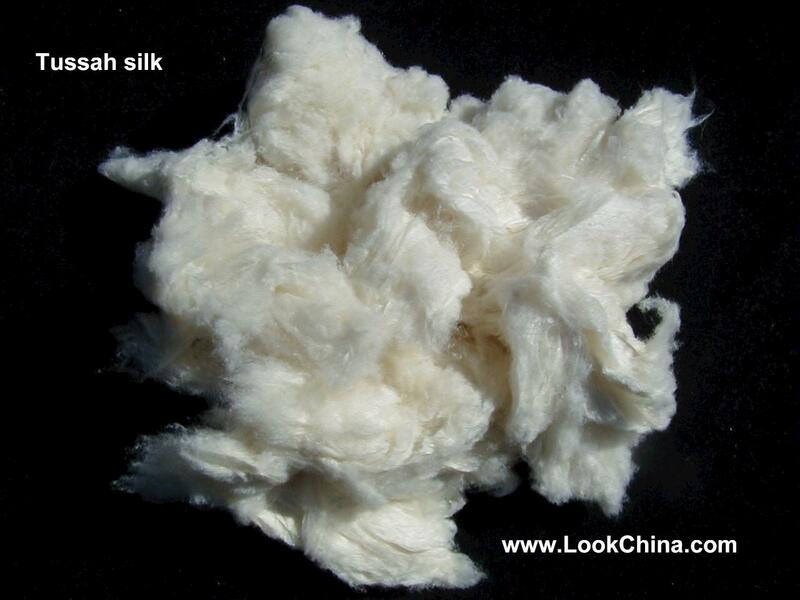 Bathsilk® shine silk fiber has a beautiful luster from mother nature. 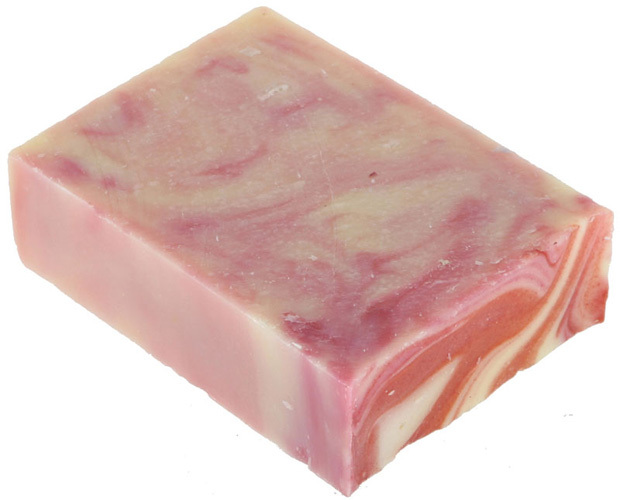 It is cut into 1 1/2 inch or 38mm length, designed for easy handling and blending during soap making (click the right or left photos to enlarge). Bathsilk® shine will add shine and luster to your soap, boost your soaps perceived market value, enhance your own soap brand and customer satisfaction. Buy Bathsilk® shine online, 4 oz bag trial sample available. For wholesale, 10 lbs minimum/per bag, to anywhere in USA. Free shipping within USA only. Buy more and save more. When making a luxury soap, add Bathsilk® shine. Pay via checks, m oney order will help us save online banking charges, we will save you too. Get $10.00 off for >$200.00 purchase paid via checks, money order only. Print this coupon and mail it back with your check/money order, payable: LookChina, Inc.